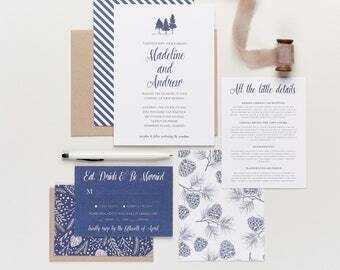 Announcement Seahorse Bend Press is a boutique paper design studio specializing in bespoke wedding collections, letterpress printing, and graphic design for wedding suites and stationery. Located in the sunny suburbs of Houston, Texas, I work with couples around the world and am able to set up multi-language invitations as well. I also offer graphic design for event invitations and branding service for small and large business owners. In our divisive world, please know that I work with every gender, ethnicity, religion, political affiliation, sexual orientation and country. Weddings are beautiful - let's all get along and celebrate all of these couples making lifetime commitments. I also work with every company, organization, small business and charity on every side of the aisle. I love what I do - and I can't wait to work with you. Also, feel free to email at Etsy or at hello [!at] seahorsebendpress.com and we can discuss your wedding and paper good needs. Currently, I can turn around a proof for a save the date or regular invitation in one to two days. For weddings (larger collections), I am running about 1-2 weeks as we have three proofs to go through if you wish. Please check with me if you have any questions. Printing is currently running at 1-2 business days as well M-F, 8-5. Touch base with me at hello [!at] seahorsebendpress.com or through Etsy convo's. Brides Magazine - Aug/Sept 2018 "Italian Villa Invitation"
Brides Magazine.com - February 2018 "Beach Wedding Invitations"
Brides Magazine.com February 2018 "30 Creative Wedding Invitations"
My Wedding Online Magazine March 2016 "10 Black and White Wedding Ideas"
Huffington Post - March 2015 "100 Sentimental Wedding Ideas"
Brides Magazine.com August 2015 "Beach Wedding Invitations"
Brides Magazine.com April 2015 "Floral Wedding Invitations"
Brides Magazine.com March 2015 "25 Colorful Spring Wedding Collections"
Brides Magazine.com February 2015 "Romantic Wedding Invitations"
Brides Magazine.com January 2015 "Save The Dates We Love"
Brides February/March 2014 "A Chic French Quarter Fete"
Happy to be featured in the September farm wedding in Ponder, Texas of Katie & Chance. 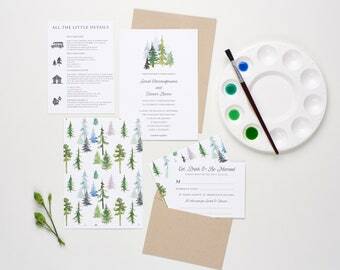 I had such a wonderful time working with them on their invitation collection. Their wedding photographs are beautiful. 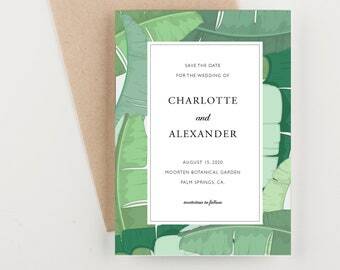 Happy to be featured in January 2015 by Brides Magazine for several of my save the date invitations. 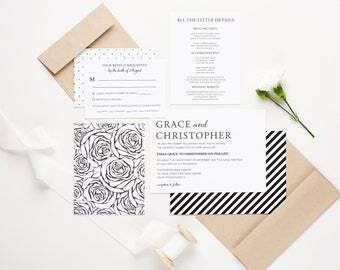 Seahorse Bend Press is a boutique paper design studio specializing in bespoke wedding collections, letterpress printing, and graphic design for wedding suites and stationery. Located in the sunny suburbs of Houston, Texas, I work with couples around the world and am able to set up multi-language invitations as well. I also offer graphic design for event invitations and branding service for small and large business owners. Beautiful liners, downloads immediately, prints beautifully. Love that it came in multiple sizes. Seller was very responsive to any questions. I love my invitations! Jenn was easy to work with and sent proofs quickly. She was very flexible when we wanted a few changes to our design. Thank you! These worked perfectly - I glued these into A7 Paper Works envelopes per the suggestion in the listing. Thank you! The warm blush of Spring encourages the gentle blooms of English Roses and Fire Spikes. Inspired by two antique illustrations of these delicate flowers, this invitation package was designed with a decidedly natural flourish. Raising your glass in celebration from the very first invitation until the last cork is popped. This invitation suite captures the sophisticated elegance of wine country through wine bottle silhouettes and oak barrel casks. 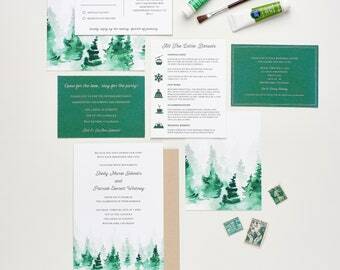 Founded in 2007, Seahorse Bend Press is a boutique paper design studio located in Houston, Texas. 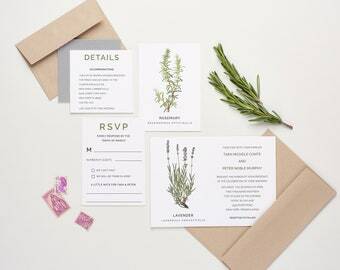 We specialize in bespoke wedding collections, letterpress printing and graphic design for weddings, parties, events and small and large businesses. 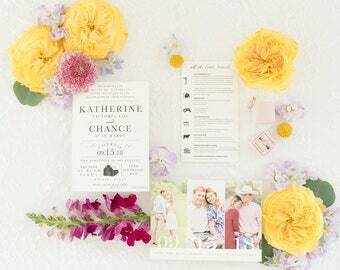 We work with clients all over the world, ensuring the unique and special details of their love stories are expressed fully on paper—from save the date cards and wedding invitations to bridal showers and rehearsal dinners. Whether a destination wedding in Scotland, a vineyard celebration in California or a grand affair in London, we offer personalized designs for every kind of wedding, and every kind of couple. We can incorporate and accommodate any culture, any custom and any language. Our clients receive our utmost attention and enthusiasm, from initial designs to the final product. It's as exciting for us to design a wedding suite as it is for a client to see his or her ideas come to life. We strongly believe life's personal stories are best told through paper and hope that our paper goods inspire you to share these moments with others. 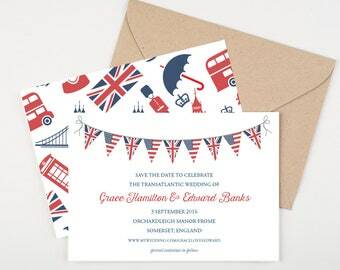 We would love to help you with your invitation needs and life events. We look forward to hearing from you! Over the last nine years, our designs have been featured in countless industry publications, including Brides Magazine, Martha Stewart Weddings, Style Me Pretty, The Knot, Ruffled, You & Your Wedding UK, ModWedding, Artfully Wed, Huffington Post Weddings, Borrowed and Blue, Design Sponge, Emmaline Bride and Pacific Weddings. We couldn't be more proud of this recognition. Jenn is a typographer and graphic designer. She is inspired by textile patterns and antique book illustrations. Her work has been featured in many bridal magazines, both in the U.S. and abroad. She dreams of owning a Chandler & Price. Tyler is the guy behind the policies and processes of our studio. He is continuously seeking to improve our business and delight our customers. He is the chief bow tier and the grand poobah. He dreams of the Patriots winning the Super Bowl. On occasion I may use the photos you have provided of handwriting/artwork and images of the finished product I have produced for sales and/or marketing purposes. If you do not wish me to do so you may contact me at any time to express this. I do not store and process your information through third-party hosting services in the US and other jurisdictions. For purposes of EU data protection law, I, Jennifer Herrington, am the data controller of your personal information. If you have any questions or concerns, you may contact me at hello@seahorsebendpress.com. Please be sure to double-check final proofs on bridal and custom orders before signing off as any mistakes after printing will be the responsibility of the client. This includes misspellings, punctuation and grammatical errors. Upon final approval of your proof, Seahorse Bend Press cannot accept returns or issue refunds due to any and all errors (such as misspelled words, etc). By approving your final proof, you accept responsibility for the information and layout as shown. You are responsible for the cost of a reprint. Seahorse Bend Press, LLC owns all copyrights to our invitations. By purchasing an item, artwork is not transferred to you. Our design work may not be copied, redistributed or altered in part or in whole. Our work is for personal use only, not for commercial use unless I am working with you as a business or charity and you are paying for my services. Seahorse Bend Press does not distribute or sell our artwork, illustration, fonts or designs used in our invitation collections. 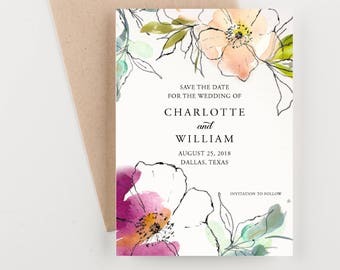 Due to the custom nature of wedding invitations and personalized stationery, returns and exchanges are not accepted. We do not ship to P.O Boxes as we cannot confirm the address with tracking. Please make sure that your address on Etsy and Paypal is updated. I ship to the address on your Etsy transaction. Seahorse Bend Press is not responsible for lost or undeliverable packages. Touch base with me here on Etsy or at hello@seahorsebendpress.com and I will respond to you within the day.